In Washington State, hit and run crimes are either "unattended" or "attended." If you strike an unattended automobile, you are required to make an effort to notify the owner or leave a note that's easy to find. If you fail to do either of these things, you can be charged with misdemeanor hit and run. A conviction for this crime could lead to 90 days in jail and fines totaling $1,000. The same laws apply if you damage property with your automobile and then leave the scene. An attended hit and run is far more serious than an unattended hit and run. This is defined by law as striking a vehicle that is occupied, either with a driver or passenger, and then leaving the scene without any exchange of information. If no one was injured in the accident, you can be charged with a gross misdemeanor. A conviction for this type of hit and run is punishable by up to 364 days in jail and $5,000 in fines. If someone is injured in the accident, you can be charged with a Class C felony. This crime is punishable by up to 5 years in prison and fines of $10,000, and you can be charged for this crime whether or not your actions caused the accident. If you leave the scene of an accident involving a fatality, you can be charged with a Class B felony. This is even more serious and punishable by up to 10 years in prison and fines totaling $20,000. Keep in mind that these penalties may be even more severe if you have any previous criminal convictions. Hit and run charges commonly accompany other criminal charges. Some of the more common are driving under the influence of alcohol and reckless driving. 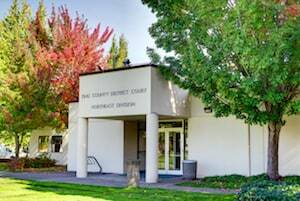 If you're involved in a hit and run situation, we urge you to seek professional legal guidance from the Redmond hit and run lawyers at the Law Office of Jason S. Newcombe. Our professional team of experienced Redmond litigators will help you deal with this situation from start to finish, all the while protecting your legal rights. Hit and run crimes happen for a variety of reasons, and sometimes these reasons are not cut-and-dry. It's possible that the driver left the scene of the accident totally unaware of what the law required. When they realize they were in error, they immediately approach the authorities to explain what happened. Sometimes a Redmond motorist is involved in an accident, and the chaos of the scene makes their adrenalin surge, causing them to panic and flee the scene without taking the proper steps. Injuries to the head and brain can also cause driver's to make bad decisions after an accident. When they settle down from the initial shock, they realize that they must immediately go to the police and reveal their role in the accident. 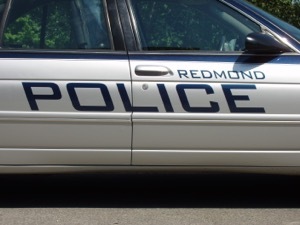 While the instinct to explain what happed to the authorities is correct, DO NOT approach the police without first retaining a Redmond hit and run attorney. Anything you say in a police interview can be used against you in court, so make sure your rights are protected whenever you approach the authorities. The chaos and confusion of an accident scene can cause eyewitnesses to inaccurately identify someone they think committed a hit and run. 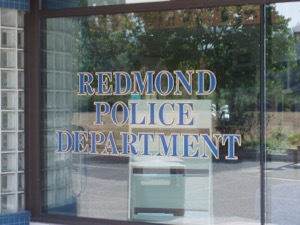 If you've been falsely accused of this crime, our Redmond hit and run lawyers will defend your interests. Contact our law office for a free consultation concerning your hit and run situation so that we can start supplying you with the facts.